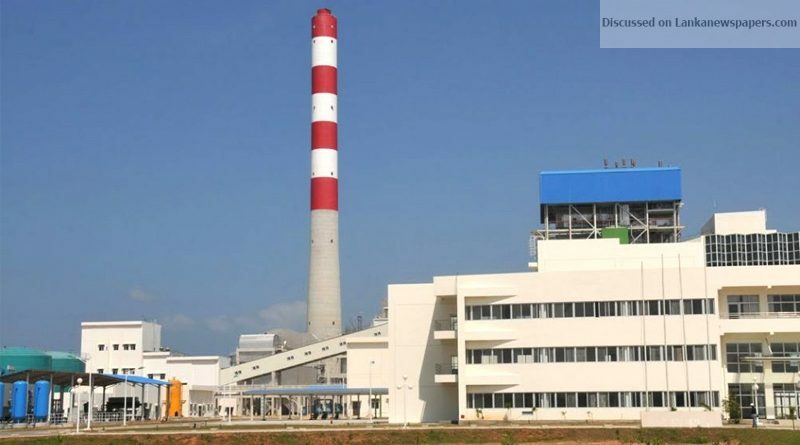 A team led by Central Environmental Authority (CEA) Director General Hemantha Jayasinghe will make an inspection tour at the Norochcholai Coal Power Plant in the wake of rising complaints over the environmental pollution caused by it. CEA DG Jayasinghe said it was highly questionable how the Wayamba Provincial Environmental Authority had granted permission for certain industries to operate. “We have got a number of complaints over industries operating in Wayamba Province and when studying their environmental reports, it is problematic as to how those were cleared by the Authority. The Norochcholai plant also comes under its purview, but I have decided to intervene, given the recent backlash. We will check as to how far the long and short term recommendations given to minimize pollution had been attended to,” he said. CEA Environmental Pollution Control Unit Director Dr. Sanjaya Rathnayaka said necessary instructions would be given during the inspection tour and if those were not adhered legal action would be taken against the plant. NWP Environmental Authority acting Director Saman Lenaduwa confirmed that the Norochcholai plant has been operating without a valid EPL, adding that it would not be renewed till the Supreme Court case is concluded. A fundamental rights petition filed by Environmental Foundation (Guarantee) Limited is being heard in the Supreme Court. An agreement on measures to address the environmental concerns at Norochcholai Plant was signed recently on the advice of the SC. “A number of long and short term measures are being implemented as per the agreement. There were claims that the plant may also affect Jaya Sri Maha Bodhi. We do not completely brush those claims aside, but we also see a separate agenda behind such claims,” he said. He said NWP Environmental Authority collected samples of what was claimed to be a belt of fly ash in the sea. “The samples were sent to the ITI. The test report is yet come,” he said. Centre for Human Rights and Research and Campaign for Free and Fair Elections (CaFFE) Executive Director Keerthi Thennakoon, writing to the CEA on Monday requested them to hold a proper investigation into complaints against the coal plant and take prompt action to control environmental damage. In his letter to the CEA Chairman Chandraratne Pallegama, Thennakoon said the Norochcholai plant had been operating without a valid Environmental Protection Licence (EPL) since May 30 last year. He further charged that all four treatment plants of the coal plant have become non-operational and therefore its wastewater is discharged to the sea without treatment. The Centre for Human Rights and Research made these allegations following two field visits on May 7 and 14. “As per the environmental law, no industry is allowed to engage in production without a valid EPL. It is shocking how a power plant is allowed to be operated in this manner releasing fly ash and heavy metals to the environment,” Thennakoon said. He said the North Western Provincial Environmental Authority had constantly ignored the environmental pollution caused by the plant.